CNC porting is the machining of cylinder head inlet and exhaust ports using Computer Numerically Controlled (CNC) machining centres. The size and shape of these ports is very influential in determining the maximum power that can be obtained from any engine. This is because it is usually airflow that limits how much fuel can be burnt within the engine’s combustion chambers. The concept of CNC port machining has been around for many years but it was only available to larger specialist engine companies until more recently. However the ability to machine ports is not often matched with the skill and knowledge to design and produce the best performing cylinder heads. It is in this area where Ultimate Performance stands out with both the expertise and experience to design and manufacture the optimal port for any given application. After the breathing characteristics of the cylinder head have been optimised it is the mechanical valvetrain which is the next most important area of an engine for power development. Ultimate Performance has developed a suite of in-house software tools that enable effective design, analysis and development of cam profiles for valvetrain systems that include flat, bucket type followers, curved followers and pivoted finger-type followers. We have even designed desmodromic valvetrain systems for research engine projects in which cams both open and close the valves negating the need for a valve return spring. Careful consideration is taken of the many, sometimes conflicting, parameters that affect a good design to ensure that performance targets are achieved together with the safe and reliable operation of the engine under all operating conditions. Working with selected partners we source all valvetrain components such as camshafts, cam followers, valves and valve springs and we produce turned parts such as spring retainers and platforms in-house using our own CNC machines. Having built up over three decades of experience in high performance engine design and development Ultimate Performance is able to provide technical advice, performance analysis and full evaluation and improvement programmes to extract the maximum from any engine. The cylinder head is the most important part of an engine. This is where air and fuel are introduced into the cylinders and where exhaust gasses are expelled from them. 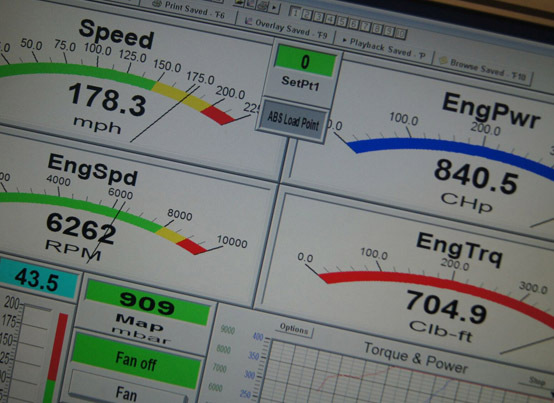 It is the breathing characteristics and the gas exchange dynamics that are crucial in determining the engine’s power potential. Airflow rigs are used to evaluate improvements to both the raw flow rate and the turbulence creating tumble motion of the air as it flows through the ports and valves through the engine cycle. 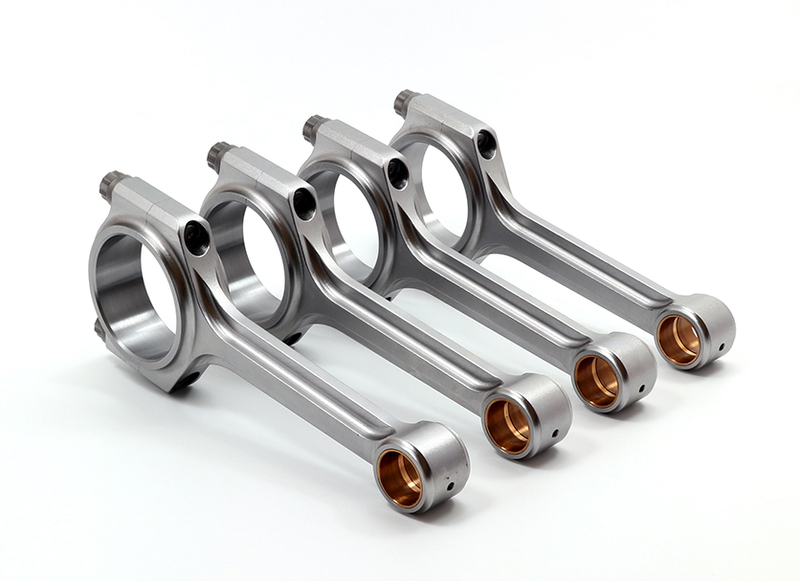 Intake and exhaust system design is another area of expertise offered and Ultimate Performance also provides design and procurement services for most other performance related engine components such as the piston, connecting rod and crankshaft as well as dry-sump oil scavenging systems. 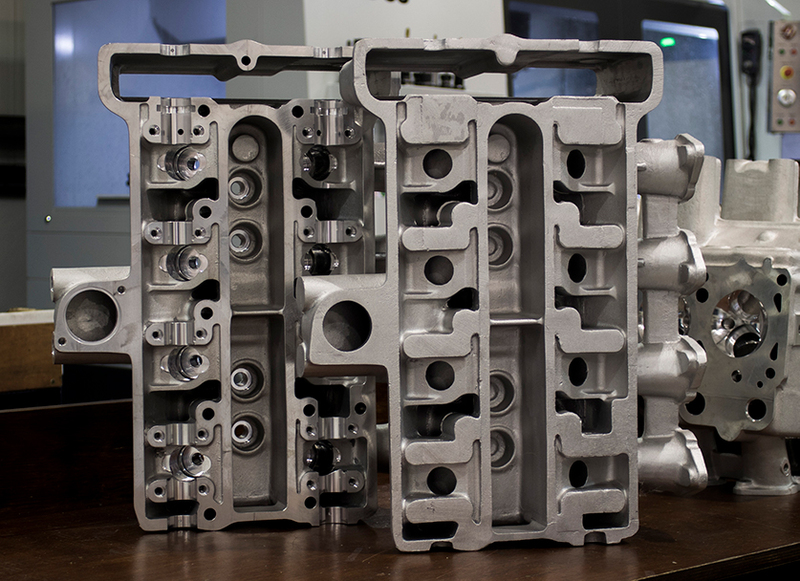 Ultimate Performance has a fully equipped CNC machine shop capable of producing fully finished cylinder heads from bare castings. Valve seats and valve guides are produced and fitted in-house. 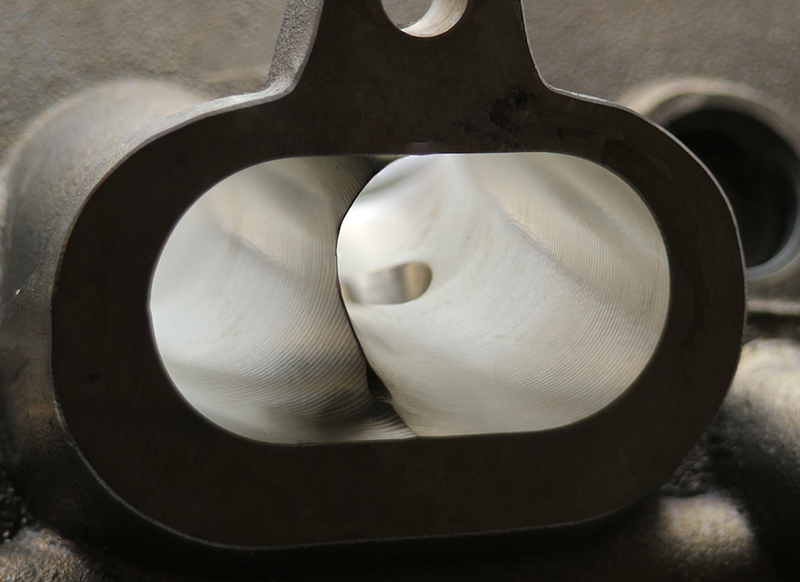 Valve seats are cut in-situ using the best single point CNC seat cutting technology currently available. Cylinder heads can be produced from customer supplied drawings or sample components can be scanned and reverse-engineered with enhancements to provide new 3D CAD models from which NC programs can be automatically generated. Working drawings with specific dimensional details are also produced to ensure quality from component to component and from batch to batch. Some of the cylinder heads produced include those for the original Lotus Twin Cam, the TVR Speed Six and the Hart 420R Formula 2 engines. Following on from a depth of expertise in engine development Ultimate Performance has established a leading component and system design capability using state-of-the-art CAD design tools. New products and assemblies are designed with attention paid primarily to extracting maximum power but also with careful consideration given to the ease of manufacture and assembly in addition to providing optimum serviceability, maximum service life and minimum part count. Where required, reverse engineering techniques are used perhaps to recreate a historic and no longer available part or redesign work is carried out to take advantage of contemporary materials and modern manufacturing processes. The valve seats are an extremely important feature of any cylinder head. The quality and precision of the valve seat geometry determines how well the valves seal against gas pressure, how fast heat is transferred away from the valve heads and the rate at which the mating faces will wear in service. Apart form these thermo-mechanical factors what is also significant in a high performance engine is the influence of the seat geometry on gas flow behaviour in what is a critical area for the gas exchange processes. Continuous development using air flow rigs and engine dynamometers has shown that real gains can be achieved by paying careful attention to this area. Ultimate Performance uses a Newen Contour single point CNC machine for valve seat cutting. This uses a single point cutting tip radially and vertically positioned under computer control. Many roughing passes are automatically generated to remove material at high speed and with high accuracy. The final cut is a shallow, slow-feed pass and concentricity to the valve axis is ensured with a close fitting tungsten carbide pilot, pneumatically auto-centred and clamped at the beginning of each cycle. Seat height is controlled with an electronic reference probe. The machine can be seen cutting a Copper Beryllium seat for a Subaru cylinder head in the video. 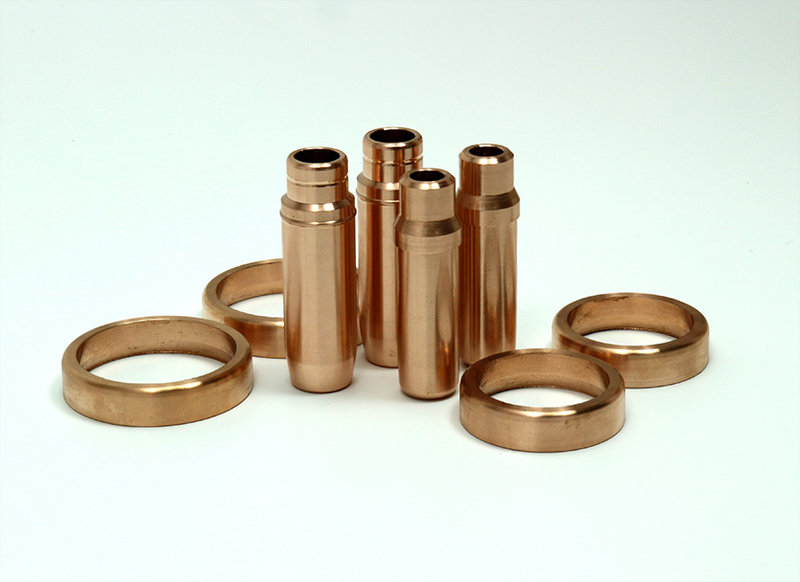 Valve seat inserts and valve guides are produced on our 6,000 rpm CNC lathe usually from copper-nickel-silicon alloy material. 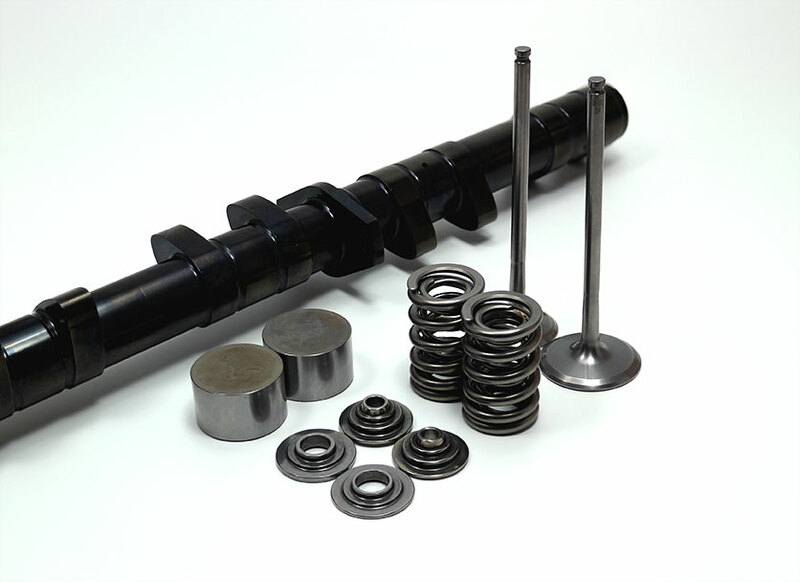 We have an extensive library of regular valve guides and we keep a stock for most of the more popular engines. For race engines with titanium valves or where good thermal conductivity is required such as in high-boost turbo-charged applications valve seats are made from beryllium-copper alloys. For most refurbishment and upgrade work we will fit original equipment type valve seats made using sintered iron metallurgy. Interference fits are carefully set and seats are fitted using an oven to heat the cylinder head and liquid nitrogen to freeze the seat inserts ensuring a robust and reliable installation. Mostly parts are made for fitment to our own CNC cylinder heads but we also produce valve seats and valve guides for customers’ own projects. Small quantities of parts can be run-off and we offer a reverse engineering and design service too.